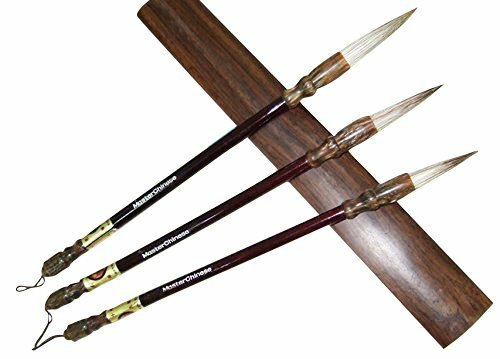 *These brushes are great and excellent for beginners or practice purposes. They will be loved by any beginners for years to come. But if you're a pro/advanced/super serious users, you should get a better one yet. Excellent jian hao (goat and wolf) hair brush for beginners. Great feeling, won't open up. If you have any questions about this product by MasterChinese, contact us by completing and submitting the form below. If you are looking for a specif part number, please include it with your message.